KidsEBookBestsellers.com: Beastly: Published in 2007 and Still Selling Strong! Beastly: Published in 2007 and Still Selling Strong! Alex Flinn is no stranger to the Kids' EBook Bestseller List. The e-published version of her book, Beastly, hit the top ten back in the Spring of 2011. Then last week it re-appeared at the number 10 spot in the "Children and Teens" section of the iBookstore. This time I was able to contact Alex and get her insights on her e-format success. Enjoy! Time to pull out your synopsis skills and tell us what your book is about. 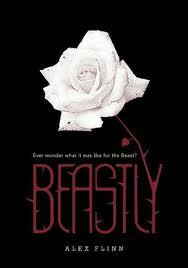 Beastly is a modern retelling of Beauty and the Beast. In it, the main character, Kyle Kingsbury, is a real jerk to the wrong girl -- Kendra, who turns out to be a witch. She turns him into a beast, a hairy one with fangs. His father, who is a very vain man, banishes him to a brownstone in Brooklyn, where he is not able to go outdoors or see anyone. But he has to find a girl to love him in two years, in order to break the curse. By the way, if you like Kendra, there is a companion book, called Bewitching, about her further adventures. It is also available in e-book format. How are people finding out about your book? I was fortunate that Beastly was made into a movie in 2011, so that did a lot of marketing for me. However, I am also on Facebook, the web, and a blog. As you got into e-publishing, have you discovered unexpected things? My book is available in print and was a bestseller for several months in that format as well. However, its proportion of print book to e-book sales has been fairly high. Someone at my publisher said that they believed that was because it had an adult crossover audience (My book is young-adult) that might prefer to read the e-book version rather than carrying around a young-adult novel in print form. Do you think e-publishing will eventually take over print publishing? Why or why not? I think e-books simply present another option. Usually, I like a print book because it's easier to flip around between the pages. However, I'm going on a long trip, and I'll definitely download e-books for that. A few weeks ago, I was somewhere, waiting in a long line, and I realized the e-book I was reading on my iPad had also downloaded to my phone! It was awesome to be able to read it in line! Both my daughters have e-readers, and one loves e-books while the other prefers print. I certainly hope e-books don't shut out print books, but it's great that we have both. I assume e-book will continue to grow, as more people get e-readers. Do you believe the e-format helps or hurts your readers, specifically children and/or young adults? How? It probably helps kids and teens that they don't have to get mom to drive them to a bookstore in order to get a book. It's much easier to buy a book, so that may lead to more sales. I have probably bought my daughter more books since she got an e-reader. For more top ten authors and their fab books, check this week's Kids' EBook Bestseller List. Stop by on Wednesday to hear all about the e-success of Ripley's Believe It Or Not! with a book from their Ripley's RBI01 series. And next Saturday we hear from Colleen Hoover, author of Slammed and Point of Retreat. Need a reminder? Follow me on Facebook or on Twitter. SLAMMED by Colleen Hoover: #1 in the iBookstore!